Claudio Bianchi lives alone on his farm in Southern Italy, a self-professed grump who just wants to enjoy his little bit of land, his animals, and write his poems when the mood strikes him. But an unexpected and impossible visitor changes everything. For how can a person stay determinedly grumpy and insular when faced with the grace of a unicorn? Bianchi’s world becomes much larger than he had ever intended or wanted with the addition of a unicorn, and he faces the reality that this is a secret that is going to resist being kept. In Calabria is a gorgeous story shaped with elegant prose and stunning imagery. In Bianchi we have a very human protagonist who shifts and changes bit by bit as the story progresses. Once could say all the changes are a result of contact with the unicorn. It is this reader’s opinion that the unicorn might be the catalyst, but Bianchi grows through his own volition. Its an ancient story, humans changing after meeting a unicorn. Beagle has provided a modern incarnation of the tale, and it is a much needed bit of beauty and quiet joy. It is a unicorn story. It is a coming of age story. It is a story of forgiveness and a story of love. In Calabria will speak to each and every reader that ventures through its pages. The Reaping was an event that caught the United States by surprise. Families that had been harboring surrogates- inhuman children passing for human- met with disaster, and the surrogates were rounded up and taken away. After the Reaping, inhuman and mythical entities ceased to have rights and became possessions, curiosities, and some were caged for display in menageries. Delilah’s mother wanted a good child, a quiet child, but was not prepared when…something….took her wailing baby away and replaced it with smiling Delilah. Delilah was raised never aware that things were not quite what they seem. When a trip to a traveling menagerie pulls a supernatural part of Delilah out in public, she is outed as less than human and sold to that same traveling menagerie. ‘Menagerie’ is a look at humanity in every light possible- the kind as well as the cruel. It is a book about grey areas, the actions and intentions and entities that do not fit well into the black and white. It is not always an easy book to read as supernatural and magical beings are brought as low as possible. But it shines, subtly beautiful in a way that will keep it churning in the back of your head long after you have finished reading. “The official record says all hands were lost at sea. We believe that something far worse occurred. We believe they were found.” -Mira Grant, Rolling in the Deep. It started as an expedition from the Imagine Network, a ‘documentary’ set to find proof of the existence of mermaids. The liner was populated with its crew, scientists who signed on for the research opportunities, representatives from the Imagine Network, and a troupe of mermaid performance artists. In the event no mermaids were found, some would be provided to tease the cameras every now and then. No one anticipated there would actually be mermaids in the deepest part of the ocean, or that somewhere while telling tales of mermaids through the ages we got some very important details wrong. Rolling in the Deep is a beautiful, lethal story about human dreams and desires. It is a short, but very careful book- characters are all thought out and breathe life into the story, and ultimately contribute to pull of the final horror and while bread crumbs of foreshadowing are laid out well for the readers, the end still hits with stunning impact. It is science all twisted up in a fairy tale, and that fairy tale takes its cues from the old cautionary stories we have mellowed over time and tellings. It is for people who look at the ocean with equal parts captivation and distrust, for those who like their fairy tales with a twist, an edge. Highly recommended. Just not, perhaps, before a trip to the beach. When Feyre lets her ash arrow fly, she knows she might be killing a faerie. But she does not expect the beast that breaks into her home, demanding her life in return for that of the one she had taken. Her life, not her death. Thus begins Feyre’s time in the Spring Court of Tamlin, a High Lord of the faeries. As Feyre starts to sort out her new life she learns that not all is well in the land of faerie- there is a curse upon the land, upon Tamlin and his court. Feyre also learns that not all faeries are dark and vicious as her fear and antagonism towards Tamlin starts to shift to something warmer. A Court of Thorns and Roses builds the familiar tale of Beauty and the Beast with elements taken from other corners of folk lore and fairy tale. It is the best sort of love story, the slow and natural coming together of two very different people. Feyre and Tamlin fit- the romance is not forced, Maas pulls them together with deft hands. It is also a story of curses and dark magics, the things that go bump in the night and cause you to stop and glance behind you in the woods. It is a wonderful book and will keep you reading far longer than you might have intended, needing to see how it all turns out. 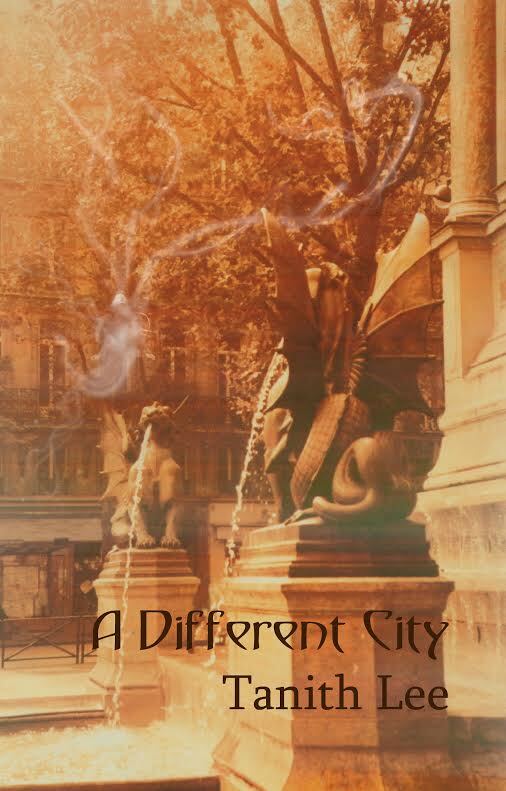 ‘A Different City’ is a book containing three stories, each connected by their presence within the city of Marcheval. From demons slipping human skins, idols concealed in attics, exquisite monstrosities- Lee weaves a decadently horrifying tapestry. The first story, ‘Not Stopping at Heaven’, tells of a marriage where both parties had different motives behind their nuptial vows. Sometimes the targets perceived as easy are not the ones you want to tangle with. The second, ‘Idoll’, tells of a discarded child growing up in the vast home of her relatives, and the unfortunate truths often faced by women of no independent substance. When backed into a corner, one will sometimes walk a path not considered before. The final story, ‘The Portrait in Gray’ is built loosely upon the armature of ‘The Portrait of Dorian Gray’. The prettiest of creatures are not always as beautiful as their exterior might suggest, and revenge is not always an overt undertaking. To read ‘A Different City’ is to plunge into a world that slips so skillfully into your subconscious that it is hard to remember to come up for air. Lee’s prose is, as ever, deft and a pleasure to read. The world she builds within Marcheval’s walls is enthralling, terrifying, and impossible to ignore. Each story within ‘A Different City’ is unique, but works with the others to strengthen the feel, the tale, of the city as a whole. It is a living, breathing, stalking entity. And it is magnificent. There have been stories about fae creatures and children since we started telling stories. Those stories rarely end well for the children. When a Gray Lord lets free one of the monsters in their closet, Charles’ trip to visit his old friend Joseph is dramatically altered. Joseph’s daughter-in-law Chelsea is hit by a fae compulsion while picking her children up from daycare- a compulsion to kill her children. Looking into the source of the fae compulsion opens a door into the darker, less-friendly side of the fae. A side where children are kidnapped, used for a year and a day, and then discarded. Charles and Anna need to locate the fae responsible before more children are targeted. Before more families are torn by anguish. Before the fae responsible comes back for the child that got away. Dead Heat is heavy with an Old World sense of the fae, the danger to their magic. It is also a story wrapped carefully with a sense of the importance of family, across generations. Briggs pulls the reader through a fast-paced, emotionally involved story that will keep readers up well past their bed times, checking in on family- those of blood or choice. And checking to make sure they have some cold iron nearby. Just in case. The Dragon lives in his tower, defender against the maliciously aware Wood. Every ten years the Dragon takes a girl to his tower. Every ten years a woman is released from his tower, but returns home…changed. It was always going to be Kasia who was taken- everyone knew it. She was beautiful and clever and kind. So it came as a surprise when Agniezka, perpetually dirty Agniezka, was chosen and taken away from everything to live in the Dragon’s tower. She has no idea why she was chosen, what is expected of her, what she will do. She definitely didn’t expect the story to revolve around her. But Agniezka is skilled in ways baffling to the Dragon, fascinating and infuriating them both as time passes. While they fumble along and learn from each other, the Wood is moving. Uprooted is a gorgeous tale, folklore and fairy tale all twisted in and around threads of the story of a young girl coming into her own. Agniezka is a protagonist that seems terribly out of place in a Wizard’s tower, in fancy clothes, pulling the lines of story behind her. her own befuddlement as to how this happened draws the reader to her. She is a protagonist that is easy to relate to, for readers to see bits of themselves in, and that is part of the magic of the story that draws the reader in and refuses to let them go. Taking a break from reading is like coming up from air- you need a moment to reorient and resettle back into the mundane. It is also a dark book, and will have you wondering just what that was skittering just at the edge of your field of vision as you read at night. It is dark in the way of the best folk tales- a living, breathing sense of danger, a pressing threat, but with a glimmer of a solution, of a way out.